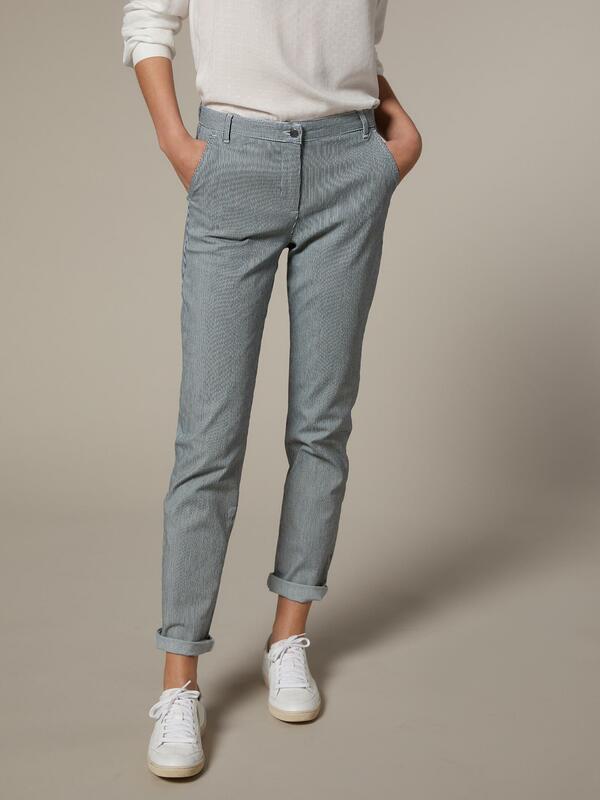 Essential iconic trousers, these chinos go with stripes this season. Chino style, natural waist. Waistband with belt loops with zip and button fastening. 2 slant pockets. Darts and 2 piped back pockets. Inseam 75cm, leg width 16.5cm approx. A touch of elastane adds comfortable stretch and closer-to-the body fit.